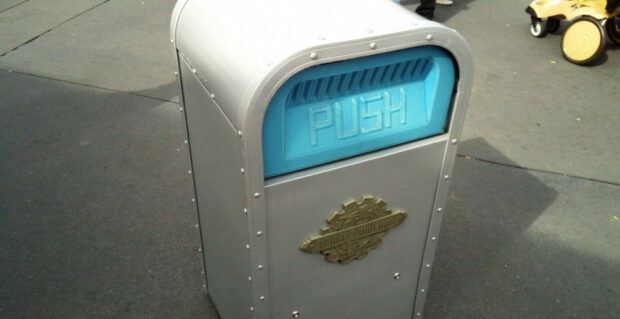 A talking trash can known as Push has been surprising and delighting Disney guests since 1995, most recently in the Tomorrowland area of the Magic Kingdom. But that long run came to an end this week as Disney’s contract the man behind Push ran out Saturday and was not renewed. At that point it seemed like the #savePUSH movement had worked. 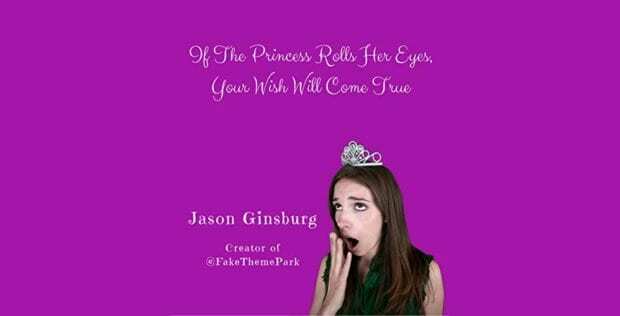 But two days later, Disney posted an alert on their cast member only website saying, “We will no longer have a talking trashcan performing act at Walt Disney World Resort effective Sunday, Feb. 9. We will continue to offer a rich mix of atmosphere entertainment for our guests, including the new #INCREDIBLESSuperDanceParty at Rockettower Plaza Stage.” The alert went on to say they have no immediate plans for a similar performance. Push first appeared at Disney World’s Magic Kingdom in 1995. His recycling cousin known as Pipa (Swahili for trash can) (owned and operated by the same man as Push) first appeared in 1999 at Disney’s Animal Kingdom. A talking tree called Wes Palm also made appearances at Animal Kingdom until both were retired in 2009. 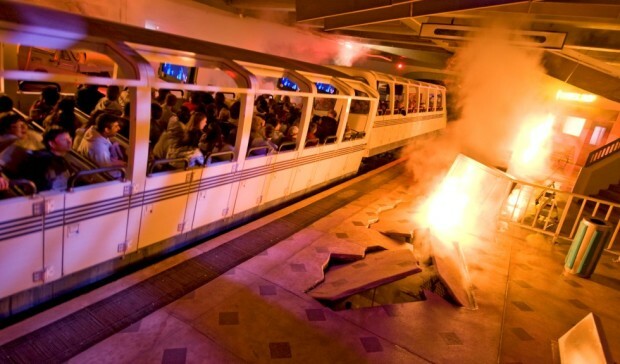 Push expanded beyond Walt Disney World in 1998 when he “learned Japanese” and started appearing at Tokyo Disneyland. Push has also met guests at both parks in the Disneyland Resort in California (painted brown for the Grizzly Gulch area of Disney California Adventure), Hong Kong Disneyland (speaking English, Cantonese and Mandarin) and Disneyland Paris (speaking English and French). Over the years, Push has assisted in several marriage proposals, danced with Michael Jackson (who offered to buy him) and even unofficially ran for mayor of Tomorrowland. For now, the only place to meet Push is at Hong Kong Disneyland where he meets guests regularly, or at Disneyland Paris, where he rarely makes appearances.